The shoulder of a human being is made of three different bones, which are the humerus (upper arm bone), the clavicle (collarbone), and the scapula (shoulder blade). A shoulder joint is the most mobile joint of the human body, which also makes it far more prone to dislocation and injury than other joints. To prevent shoulder injuries and strengthen the shoulder muscles, adding shoulder strengthening exercises in the daily workout session is a smarter way to keep those shoulders agile. Who is more prone to shoulder joint injuries? 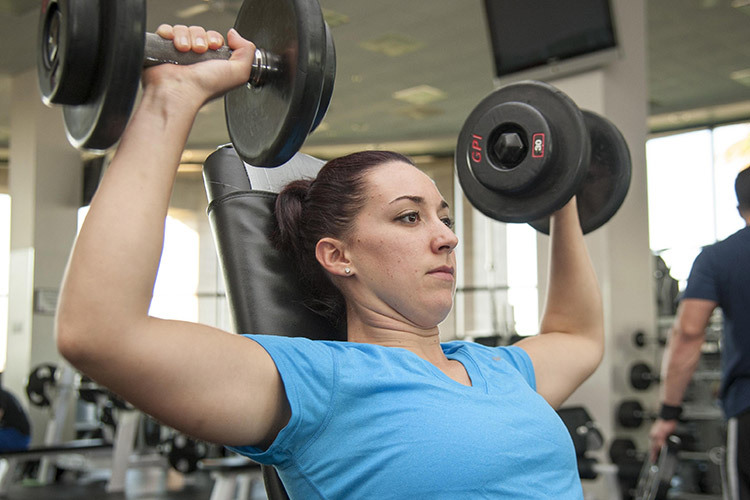 You shouldn’t be surprised to know that athletes and weightlifters along with desk job workers top the list of people who are more prone to shoulder injuries. Have a look at some of the reasons for why shoulder injuries are common and recurrent in the life of athletes, weightlifters and desk workers. Revolve one arm at a time in a circular motion for a minute to stretch your body and prepare it for some serious workout. Be careful; do not jerk your muscles. Repeat with both arms. Stand straight with tightened abs and raise your shoulders to your ears as high as you can. Once in that position, roll your shoulders clockwise. Do 15 reps.
Repeat rolls in the anti-clockwise direction. Then relax. Grab a football or any other similar sized ball in both your hands and stand straight with your feet apart at shoulder width. Raise the arms to the shoulder level holding ball in front, and virtually draw all the alphabets pretty big & clear by outstretching your arms. Stand with the feet spread hip-width apart, keeping your knees relaxed. Hold a single dumbbell in one hand (2-5 pounds). Keep your hand parallel to the body, with the thumb placed against your thigh. Lift your arm at a 45-degree angle, up to the shoulder height, pointing thumb-side down, while keeping your wrist firm. While you lift your hand, hold the position for a second or two, and then return to the starting position. Repeat 10 reps each side. Bring your arms up & forward toward the ceiling, keeping arms slightly bent. Lay on your side while holding a single dumbbell in one arm. Place towel between bicep and waist. Slowly raise the arm up towards the ceiling until your arm is straightened up. Repeat 3 sets from both sides, 8 times. 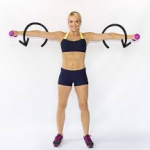 Stand straight with feet spread wide apart, with abs tightened, shoulders back and a dumbbell in each hand. Lift your arms straight overhead. 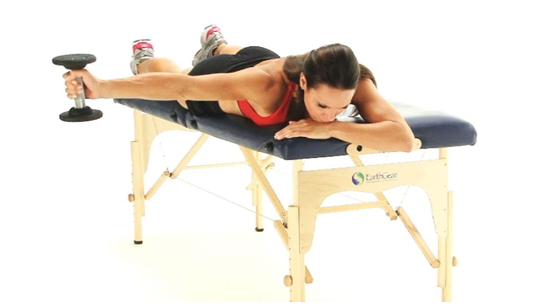 Bend your elbows and bring them at 90 degrees and then press back straight. Lie on a bench facing down with elbow straight and arm dangling down towards the floor. 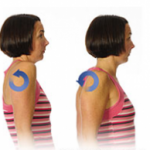 Set your scapula by retracting it towards your spine and downward toward your feet. Slowly raise your arm keeping elbow straight, keeping the thumb in the upward direction. Stand and hold onto a sturdy chair with your good arm. Bend forward at the waist with knees bent to protect your back. Relax your weak arm& shoulder blade and use body motion to swing your arm in small circles. Repeat motion and change direction of circles. Tie a theraband on a doorknob. Stand to face a door, holding the band with one hand. Straighten up the arm to pull the band away from the door. Ask a fitness advisor the right way to do an exercise. Don’t lift to the point of muscle exhaustion. Know your body limits. Focus on your breathing while you exercise. Don’t set unrealistic goals. In case of any pain, consult a physiotherapist. Never miss stretching after working out.